emplacement: 1 horizontal around each leg. • Elastic suspender with metal. 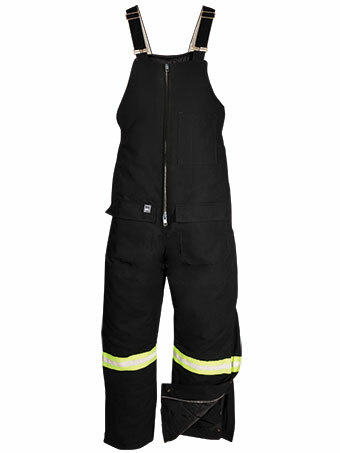 • Zipper side closure on each leg, storm flap with hidden snap closure. • Elastic waist on back for more comfort.